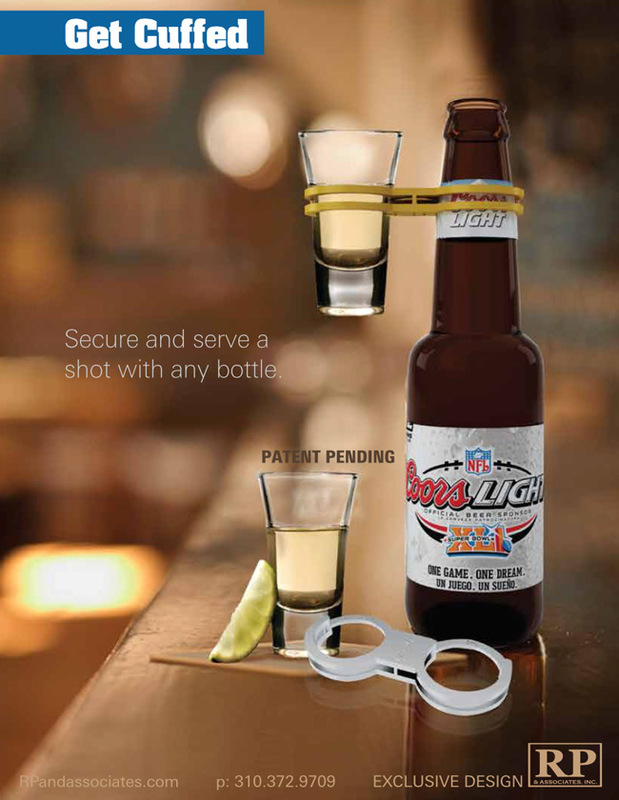 Great Shot & Beer Promotional Items! The Cuff is a memorable way to secure and serve a shot with any bottle. Shaped like mini handcuffs, one end fits over the top of the bottle while the other end holds a shot glass. It’s a great way to serve an extra shot with a beer as a promotion, and can be branded with your name or logo and kept by the customer for top-of-mind awareness. Cuffs are unique shot and beer promotional items!